What do I do with old cartridge? Do your compatible HP Colour Laserjet 2605dn toner cartridges give the same rendering of coloured images as the genuine HP products? I've used other so-called compatible products in the past and found that the colour rendering is different - frequently poor quality and "washed out". HP Colour LaserJet 2605dn toner is patented so we can't guarantee that our compatible cartridges are exactly the same. However, our compatible HP Colour Laserjet 2605dn toner cartridges have been strictly checked and tested to ensure that they provide a very close colour match to the HP originals and we believe that you'll be very impressed by the colour quality you'll get from them. To give you further peace of mind we offer a 30 day money back guarantee on our compatible HP 2605dn colour toner cartridges so if you aren't satisfied with the quality you can send them back to get a refund. My printer just has HP Colour LaserJet 2605 on the outside. What's the difference with printer type "2605dt" or "2605dtn"? I just bought a new PC and would like to download a printer driver for my HP Colour Laserjet 2605dn. Can you help me? 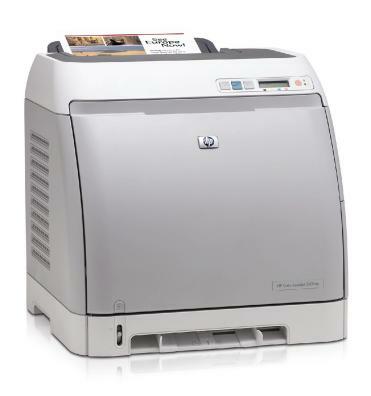 The HP Colour Laserjet 2605dn provides affordable colour at home or in the office. This relatively small and compact laser printer works at up to 600 dpi resolution for printing crisp text, accurate colours and detailed images in photos. We stock original or compatible HP Colour Laserjet 2605dn toner in black, cyan, magenta and yellow colours and all at low prices. Not only can you pick up a discount on your HP 2605dn toner cartridges, the build quality of our cartridges is outstanding and results in perfect print quality from first page to last. Don't hesitate in choosing Cartridge Save to buy cheap Colour Laserjet 2605dn toners. We aim to save our customers a bundle on HP Laserjet 2605dn cartridges by offering free delivery, no hidden charges. If you compare HP 2605dn toner prices online we almost certainly give you the best deal when purchasing your cartridge. Our no quibbles return policy protects against poor quality meaning you can enjoy fantastic results whether you are using original or compatible HP 2605dn toner. Any faulty goods may be returned for a full refund so every single shopper can enjoy customer satisfaction with their order from Cartridge Save. The only disadvantage to this printer is the lack of speed, producing printouts at a rather slow rate of 12 pages per minute. Overall, the HP Colour LaserJet 2605dn might not meet the demanding needs of an office consisting of many employees who constantly print documents. If you print frequently, the cost of HP 2605dn toner may also become an issue, although Cartridge Save does provide them at low prices.